A construction site crew is busy at work in this rhyming Step 1 story. As the work continues readers are in for a surprise--the "crew" is actually a group of young friends engaged in a fun day of dramatic play. Two sheets of vehicle-themed stickers are included. 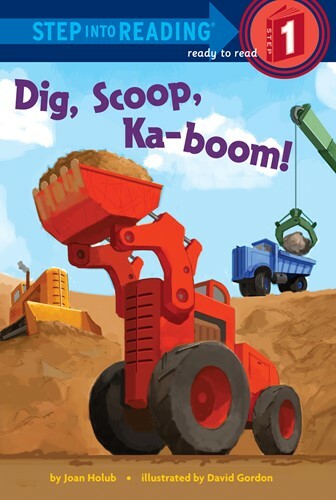 It's a natural for young readers who love to build and are fans of vehicles that dig, scoop, and sometimes go ka-boom!